You are here: Home » Rob's Blog » Can you steal your car’s soul? Can you steal your car’s soul? 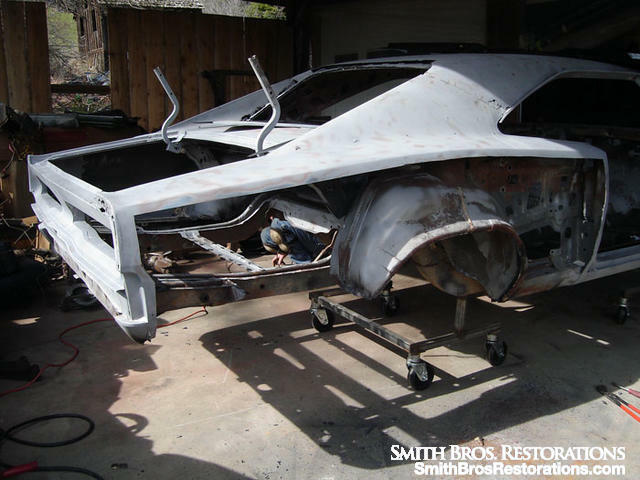 A Smith Bros Restoration in the works……this guy will live! I’ll be the first to admit that I talk to my cars, and no they have never spoken back to me – as far as I know. To me they’re alive, have feelings, and are kind of like a combination of a close buddy and a faithful dog. They take care of me and I take care of them. The question that I struggle with though is that since your car is a combination of steel, glass, and rubber…..can you modify or restore it to the point that you steal it’s soul? Can you do so much to it that it’s not the same person…er, car anymore? 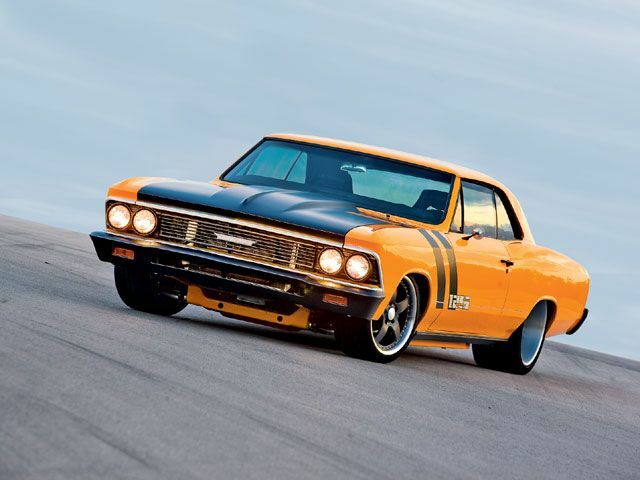 The original “Test Mule” 1966 Chevelle built by the Roadster Shop. This thing is incredible. It has modern day suspension and handles like a new Corvette. It can stop on a dime. It has a stereo with more wattage than the power plant had that I worked summers back when I was in college. It also shares very little with the original version of itself. The original engine – the heart of any car – is long gone. The original chassis is gone. Only the sheetmetal of the body remains, and even that has been altered. Is the soul of this car the one it was born with? 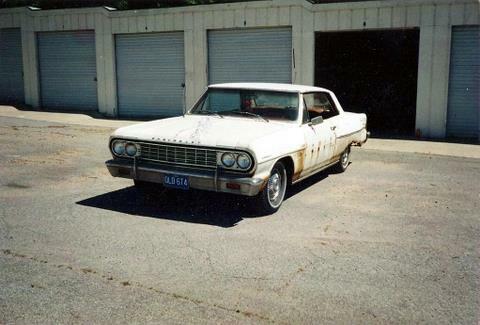 My Chevelle….prior to restoration (but still “all original”). 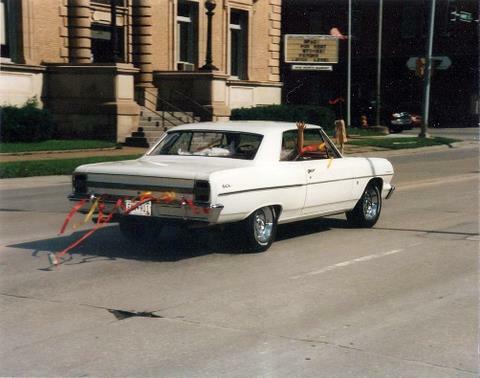 My Chevelle after a full restoration…..and a few go-fast parts. These are pictures of the restoration done on my Chevelle in 1993. I’ve never seen a more hopeless basket case of a car, but I loved it, and my mom and dad took pity because the car and I were friends. We replaced the chassis because the original was paper thin and had more holes than swiss cheese. Every bit of sheetmetal from the roof down has been patched, replaced, or fabricated with something new. I’ve put cool modern suspension on it and replaced the original 283/Powerglide setup with a mild 350/4-speed combination to make it a little more fun to drive. With all of that done, is the soul of my car the same one it was born with? Well…….I’m going to submit that it’s not possible to steal a car’s soul. We don’t have that kind of power. The soul of a car is greater than the sum of it’s parts, and no amount of modifying, restoring, or anything can change that. Just as if a person has had a heart transplant, they are still the same person – just with a few different parts (ask Carroll Shelby). Every car is born with a unique soul, and yours has one. It can’t be taken away, not even by you. So, long story short, I humbly submit that if you desire to modify your car, restore it, or the like…..go for it. You can’t kill it’s soul. p.s. Just to save on the the hate mail, I’m not all against leaving a car 100% unrestored to preserve the fact that “it’s only original once”. I fully realize that, and I think it’s really pretty neat. My point simply is in regards to the soul of the car itself.